Hey everyone! It seems like once every few months I make a stop in Big Lots, because you never know what you're going to find there. I was out today so I stopped in and got some really random stuff! I was actually planning to plant some herbs, but didn't expect to find the stuff I'd need at Big Lots. They did have tons of outdoor/garden items though. 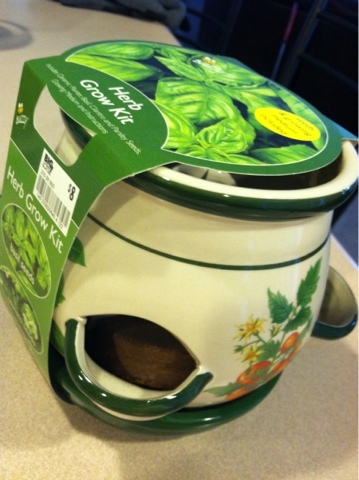 This little pot supposedly contains everything I need to grow basil, cilantro, and parsley. It's really cute! They also had little pots like this for growing strawberries. Does anyone else grow their own herbs? Any tips? You'll probably see more about this on my vlog channel. I was looking through the kitchen supplies and spotted this little pan! I thought it would be perfect for when I'm making breakfast or lunch for myself. One of my other pans apparently isn't non-stick, so I thought I could use another one. Behold the cuteness on the back of the pan! It's pink! And another mini thing stole my heart... 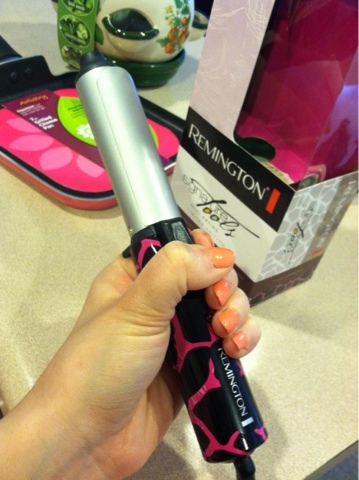 I've been wanting a little curling iron for travel- and I LOVE my mini blow dryer! For 10 bucks I thought this was worth a shot. 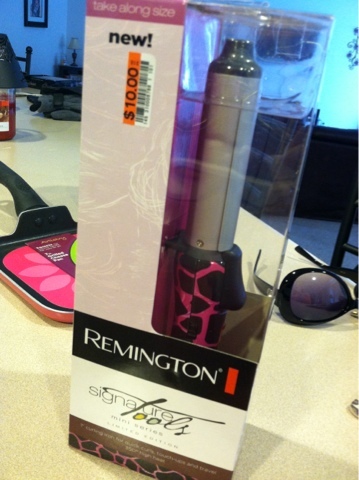 I've had pretty good luck with my Remington T-Studio styling wands, so I thought this would probably be decent quality, too. It just has an on/off switch, nothing fancy. But the pink & black giraffe print is pretty fabulous! I got a few new Z-palettes & went on a de-potting spree last night with my MAC eyeshadows. Call me crazy, but I think it's really fun! I'll probably do a "what's in my z palettes" video sometime soon. Speaking of palettes, I have a new video coming tomorrow involving... palettes! 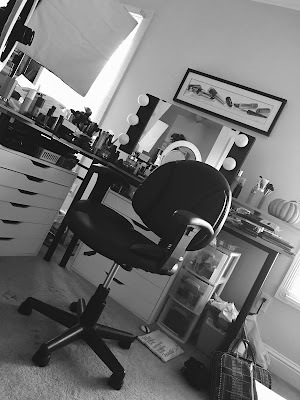 It'll be on my channel and the Ladies' Home Journal Gloss Daily Blog. I'm drinking water out of my flashing red snowman glass. Makes it much more exciting. I miss Big Lots - haven't been there in forever! I wanted to start growing my own herbs too so I'll be watching for updates on how it's going. I am so bad at taking care of plants. Could you show us how you de-pot your shadows? I broke a few and then lost interest. Thanks. Yes pkease have a video of that! I tried n I broke some too but they're like really hard to get up and some are glued down like the huge physicians formula ones! Ahh! Help! You should have bought the Belly Flops. I always get them when I go the Jelly Belly store/ DC in Wisconsin. They are just regular jelly beans basically- except cheaper! I have herbs every summer! I love it! The trick is not to let them get over grown and trimmed often. The cilantro will only last you one use - it doesn't keep growing back like the basil and parsley. Also if you let it "bolt" it will become bitter. z palettes are awesome! I'd love to replace my 3 MAC palettes with Z palettes. I live about 45 minutes away from the jelly belly factory and get the belly flops on occasion. I agree with Elizabeth, nothing wrong with them except the shape. 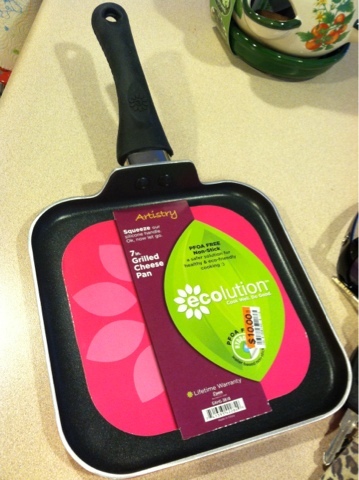 Those were some great,deals and find.I like the pan I need one like that. 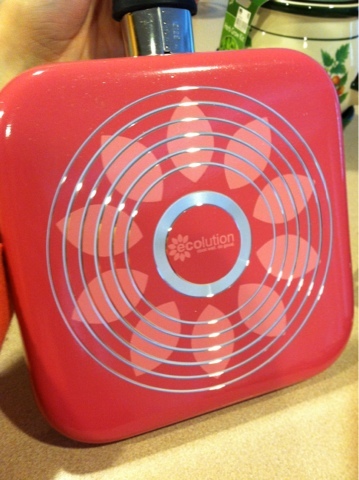 Hi Emily if you like z palette you should check out easy.com by the seller another soul she has awesome magnetic empty palettes that are so cute! I have some from her and they are really nice! 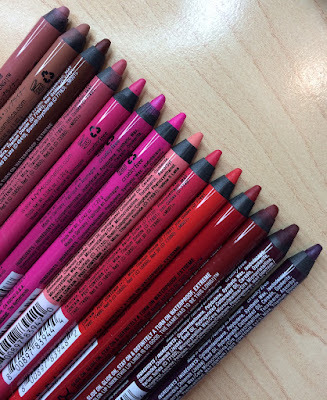 Also have you found them wet n wild spring palettes yet I've been looking but no luck if you have please share and review thanks! I love Big Lots. You never know what you'll find. I've found SOHO makeup brushes there. I love their "Carmel Coconut Fudge" Fresh Finds cookies. They're just like Girl Scout Samoas. Random but very useful! thank you for the review. Vote for Emily on Ryan Seacrest's website for Favorite Youtube Beauty Guru! I would love to see a video from you on how you depot your eyeshadow. Hey Emily. I buy BellyFlops at Big Lots whenever I find them. My husband loves them. They are all the irregular Jelly Belly jelly beans. So funny that they market them and sell them. Probably saves them money. My Big Lots has them for $3/bag. Sometimes $2. So they are a great deal for jelly bean lovers. Belly Flops! Hehe! I used to live near the Jelly Belly factory and would get bags of those for CHEAP!